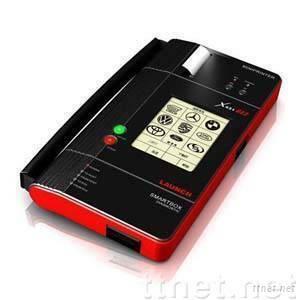 X431 Master is the latest model of Launch X-431 series diagnostic tool. Been sold world wide for decade, X-431 series won a high reputation for its wide range of vehicles and full functions of its software. Based on the X-431, the Master gets a new structure and better design; also the hardware is upgraded. Inheriting from x-431 series, the X431 Master gets the open operating system: the highest level of automotive diagnostic technology in the world; function of read DTCs, read DataStream, actuation test, sensor waveform display and ECU coding as well as the PDA functions. It is easier and more convenient to operate than X-431 based on the smart design.